In 1-quart saucepan over medium heat, heat milk and cereal about 5 minutes to steep (make sure milk does not boil). Meanwhile, in small bowl, mix powdered sugar, cinnamon and a few drops of water until it forms a thick glaze. Pour glaze into shallow dish. Dip rim of each of 4 mugs or cups into glaze to coat. Drain cereal from milk; discard cereal, saving flavored milk. 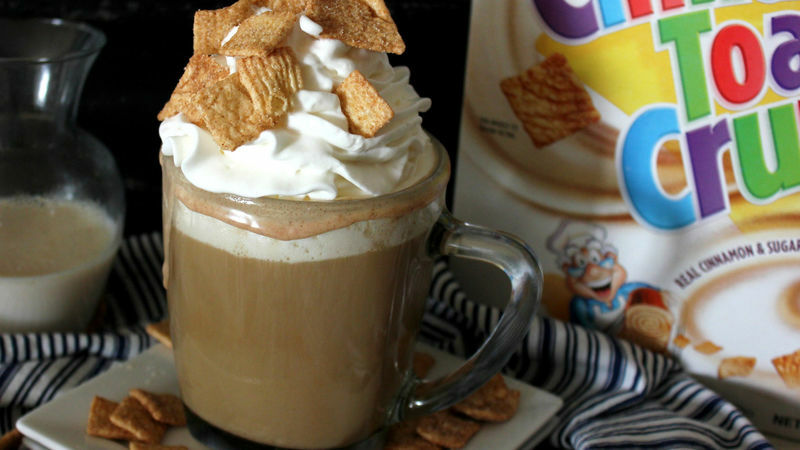 Pour coffee into mugs; add some of the flavored milk to taste. Top each with whipped topping and additional cereal.